These are a little older but they were still fun, these were some cover images I did a while back for Spartan Games for some of their tabletop games. 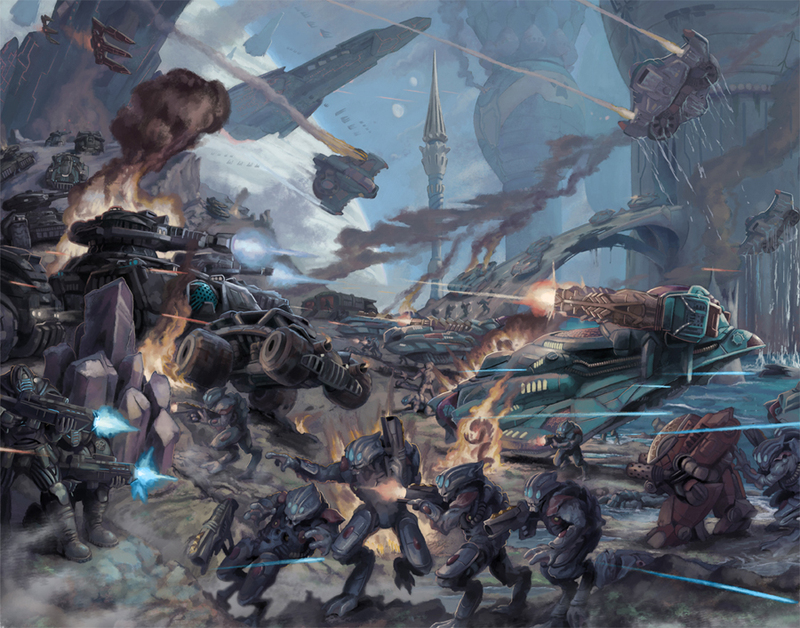 Above: This is the World of Proteus Prime as the two forces clash on the surface of the planet , fighting for control of the archaic ruins of a long lost race for the game planet fall. 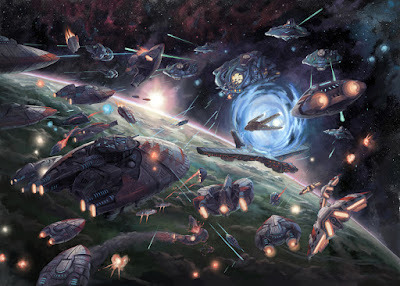 Above: If I remember right in this was for the game Firestorm which involved space battles this one taking place high above the surface of Proteus Prime while the two fleets face off for control of the mystic star gate. Below: this was for Dystopian Wars: Shadow Hunter a sea based warfare game set in an alternate dystopian world. I really love their models.